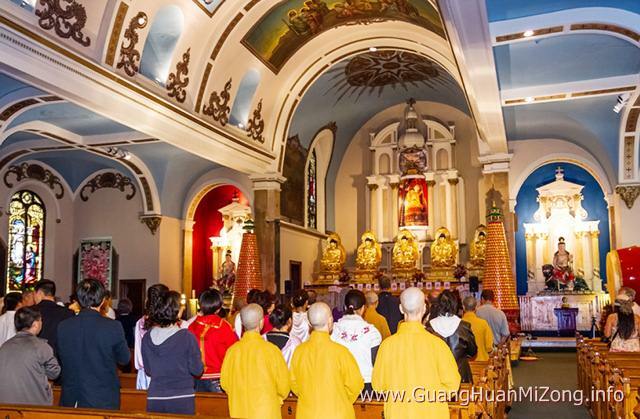 The majestic Five World Buddhas Temple, enshrined with five magnificent Buddha statues who are in charge of the Western, Eastern, Northern, Southern, and Central world of the universe, was established by Holy Master Ziguang Shang Shi in the year 2010 in the City of Amsterdam, New York. 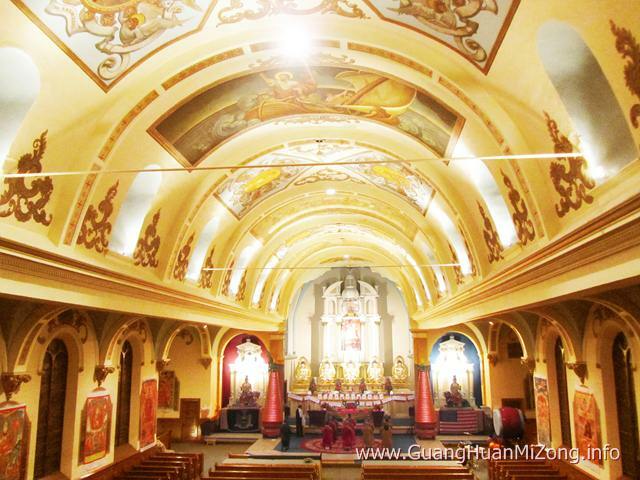 Its former name, St. Casimir’s Church, was to commemorate a Polish Prince—St. Casimir, who led a life of virtue, dignity, devotion to god, and pursuing peace. However, he fell ill and died at a very young age. The Holy Master and his disciples carefully restored the abandoned and decaying structure to rededicate it to its original mission, as a place to spread peace, health, and harmony in the world amongst all people. 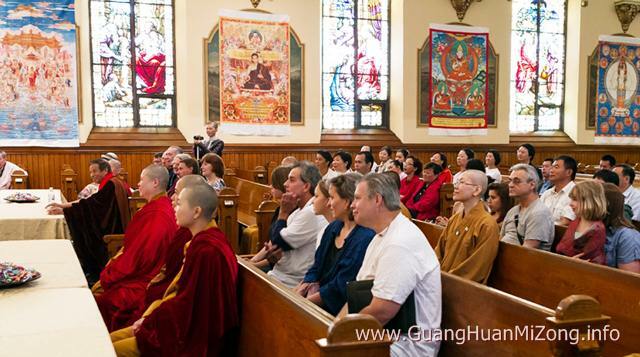 Now the beautifully adorned main hall is home to Buddhist statues and tapestries and Christian stained glass and murals, as two religions with one core message coexist in peace. The Temple serves today as the site for Guang Huan Mi Zong Health Dharma classes that have made the timeless ancient teaching and the profound healing effects of the ancient secret Dharma openly available for the first time in the West, and the venue for many important Buddhist ceremonies which lead to cultural exchanges between the East and West.